At 7 p.m. last Tuesday, Feb. 25, students and faculty poured eagerly into Norris Auditorium to experience the 2012 documentary, Dark Girls. 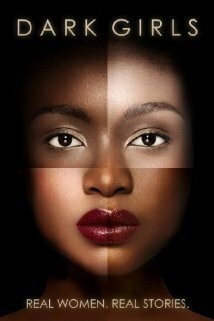 In Dark Girls, American filmmakers Bill Duke and D. Channsin Berry explore colorism against African Americans. Duke and Berry especially focus on the unfathomable struggles darker women face. “Because I’m not black,” she quietly concludes. In an introduction to the history of colorism, President of the National Association of Black Psychologists Dr. Cheryl Grills notes the relative modernity of blacks’ civil rights. “Forget beauty – we weren’t even considered people in the eyes of the law. Beauty is just a small piece of a much bigger animal, and until we understand that much bigger animal, we’ll never understand the issue of colorism,” Dr. Grills said. This issue – existing largely within the black community itself – is often considered a direct result of slavery. Colorism also sprouts from colonization. “That’s the first piece of it, the way in which nations have been colonized over the years, largely by European armies,” said Cal Arts Assistant Provost for Equity and Diversity, Matthew Shenoda. Colonization is both a physical and cultural invasion in which ideas of beauty and identity are indoctrinated. When a colonizer is presented as superior and looks a certain way, people tend to aspire to that image to elevate themselves socially. The colonial roots of colorism entangle us still, and the impact is heartrending. In an updated version of a 1940’s black doll experiment, a young black girl was shown a few figures in a range of pigments. She pointed out the “pretty” figure as the whitest and the “ugly” figure as the darkest, demonstrating the internalization of colorism at a shockingly young age. The documentary also investigated global colorism. The wildly successful skin-bleaching cream industry offers unsettling testimony to the phenomenon. In Ghana, Senegal, South Africa and elsewhere there are billboards promoting the cream despite its cancer-causing agents. The multibillion dollar business can thank the exportation of American images into these countries for its popularity. Dark Girls Directors and Producers D. Channsin Berry and Bill Duke. There is a tremendous power in advertising, and the beauty industry especially feasts on people’s insecurities. Racism has now taken on a structure – our media practices perpetuate colorism. Surely society has a responsibility to self-correct. That said, many interviewees acknowledged the enormously positive effect of a black family in the White House. Especially due to First Lady Michelle Obama’s presence and position, dark-skinned women are slowly garnering greater acceptance. Though this gradual cultural shift is cause for celebration, Dark Girls stresses the importance of women’s self-appreciation. The film concludes with a striking quote from comedian Michael Colyar – “Love starts with you and goes outward, like a drop of water. Love radiates outward from you,” he said. Dark girls, rise and love yourselves.